Post #39 – Ever heard of foam rolling? Or, how to get a good massage without a masseuses? For years, our trainer Saleem has been asking us to foam roll whenever we do an intense workout with weights to loosen up and relax the muscles, and to help with their recovery. But that advice usually went by the way side, along with his other advice of taking Epsom salt baths. That in spite of the fact, I would often get stiff shoulder after upper body workout with heavier weights. I never really saw the connection between rolling and workouts. However, early last year, two things happened and all that changed. I attended an open house at University of Maryland Center for Integrative Medicine clinic and got a first hand experience of Rolfing and learned the theory behind it. That is, how Rolfing works on the principle of massaging and stretching fascia, also called myofascial release. 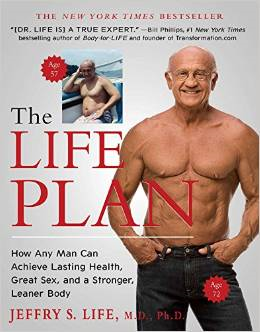 Also last year, I read a book, The Life Plan, by Jeffrey S. Life, M.D. In the book, Dr. Life has a chapter on how he uses foam rolling for myofascial massage as PRE-WORKOUT warm up. I was intrigued. So, when I did an intense 21 day weight training program in the middle of last year, I started to use the foam rolling as a pre-workout warm up about half way through the program. 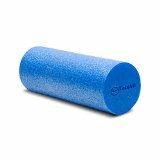 First of all, it took a few weeks of regular use before the pains of using foam roller on knotted muscles such as iliotibial bands (aka IT Bands) disappeared and have mostly been gone since then. Regular use during my 21-day program was every day. However, since then I only do strength training twice a week, foam rolling is therefore only twice a week. One downside I have discovered of intense strength training, especially with heavier weights, has been that my flexibility often diminishes, unless I do something about. Doing stretches while cooling down helps. Also, Bikram Yoga has been great help. However, foam rolling has definitely kept my body limber and flexible even after workouts with heavier weights. My shoulders, that used to stiffen up after upper body weight workouts, have been quite limber lately. My warm ups have changed significantly. Foam rolling does really provide a good pre-workout warm up for the body in general if I roll all of the body. My trainer then can focus on having me do warm up for the specific workouts we may be doing that day. 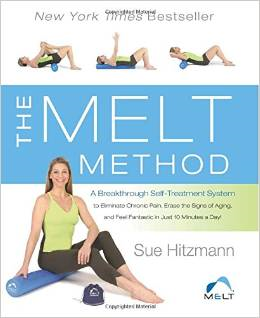 Apparently Sue Hitzmann was one of the pioneers of foam rolling. She developed The MELT method for Myofascial release as a self-treatment system to combat chronic pain using foam rolling. But now there is much written about foam rolling. Just Google ‘foam rolling’ or visit Amazon.com and look up all books and products, there is a plethora of information and products. Full Body Rolling out Routine with Ashley Bordern. Complete Foam Roller Workout, 13 Exercises. We did have a couple of foam rollers around –the simple vanilla kind for quite a while. These worked just fine. But as I really got into it, I started looking around and found some interesting choices to grow to. A product called Rumble Roller has bumpy surface. 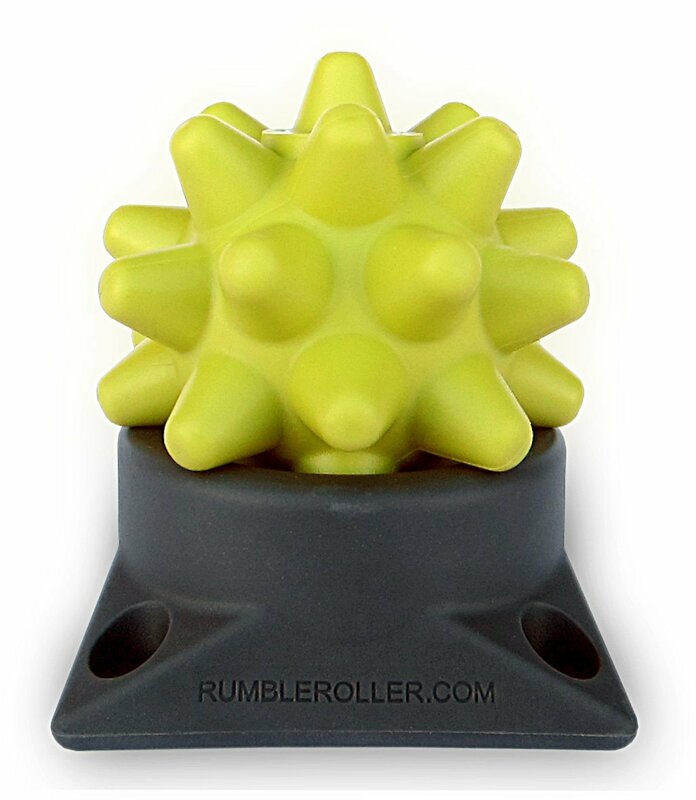 Rumble Roller not only stretches fascia and massages muscles, but it also gives deep massage. It almost feels like a Swedish massage. The same company also has a product called Beastie. It is the size of a tennis ball, only with bumps. You can use Beastie to massage any body part even while watching TV. This is also handy especially for hard to reach areas like the crevice around the neck or forearms etc. I have been using both of these products now for over six months and definitely feel that those have been a welcome addition to my tool bag in my quest for Optimal Health. Have you had experience with foam rolling? Have you worked with fascia or done any activities for myofascial release to relieve chronic pain or just to gain flexibility? I would love to hear. Please leave a comment.